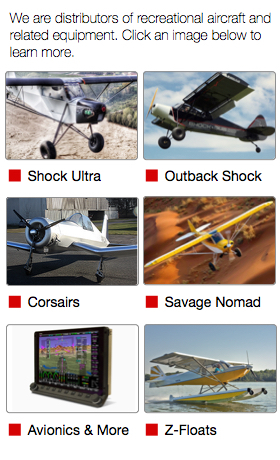 SportairUSA is the United States distributor for aircraft managed by Zlin Aviation, s.r.o. These include the Savage Nomad Shock Ultra, the Savage Shock, the Savage Nomad, the Savage Classic, the Savage Cruiser and the Bobber. For reference materials, manuals and mainenance information, Click Here. SportairUSA is the leading maintenance & repair center for TL-2000 Sting and TL-3000 Sirius aircraft. For reference materials, manuals and mainenance information, Click Here.